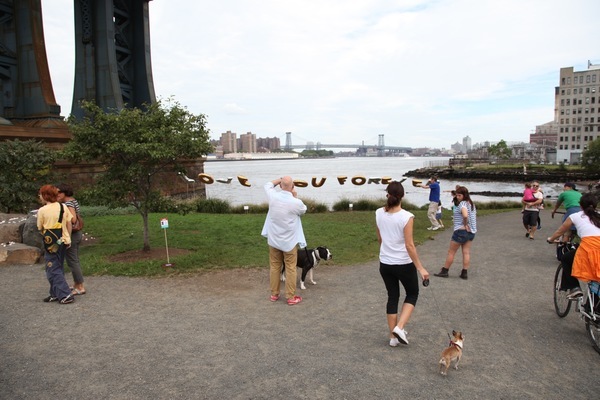 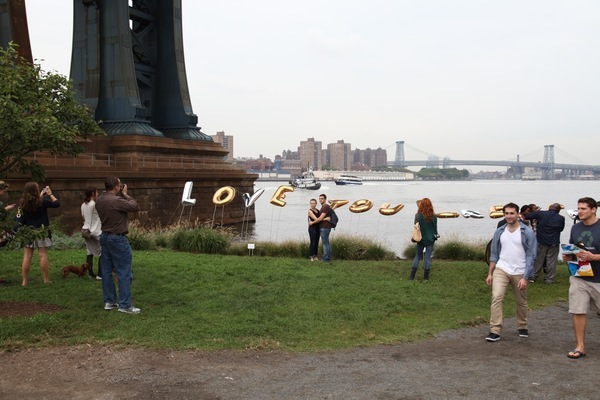 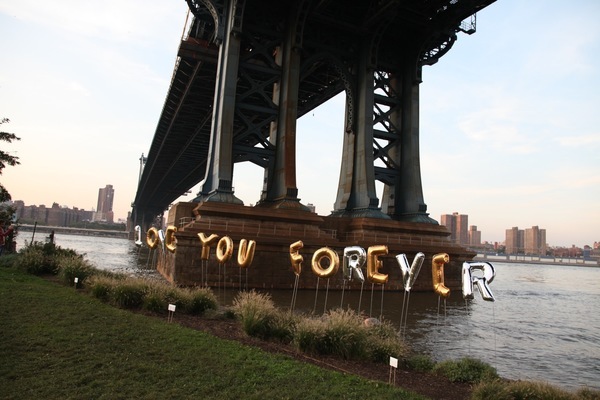 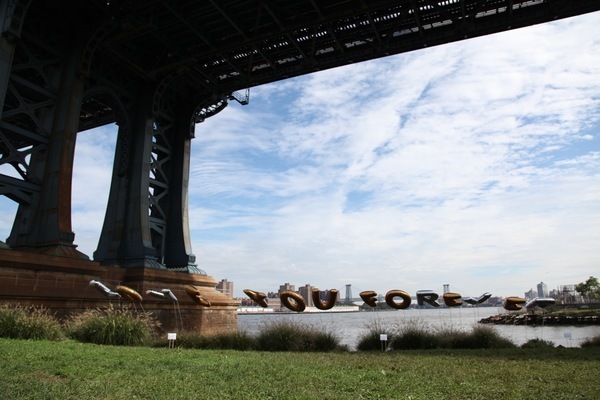 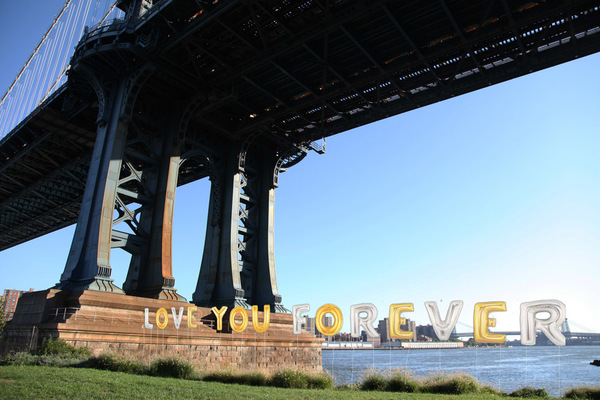 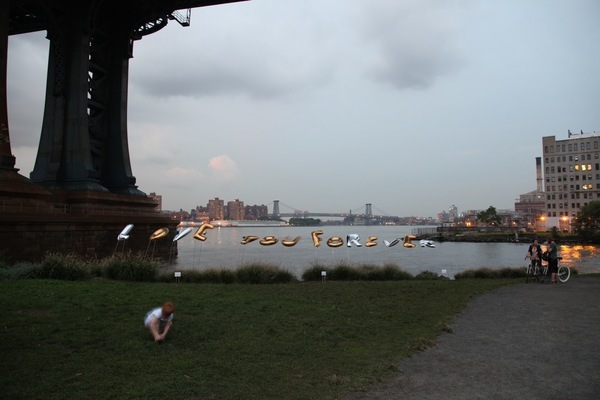 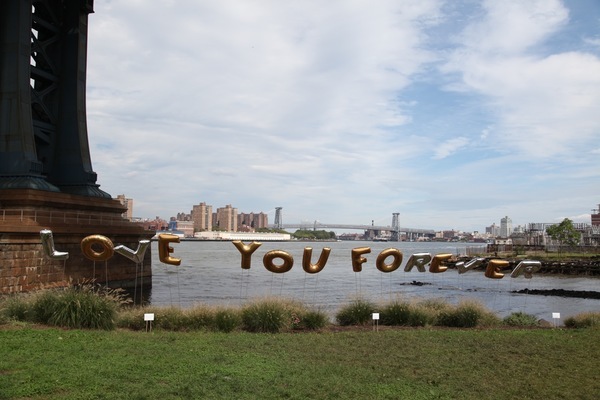 I Love You Forever is a proclamation of love to New York City utilizing 40” Mylar prefabricated letter balloons. 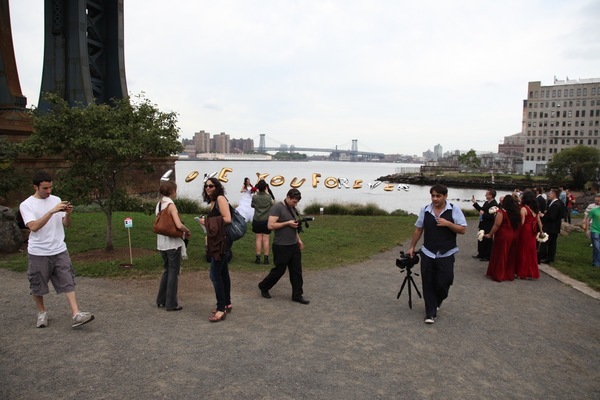 The installation is seen from the popular waterfront, with Manhattan and the iconic skyline as its backdrop. 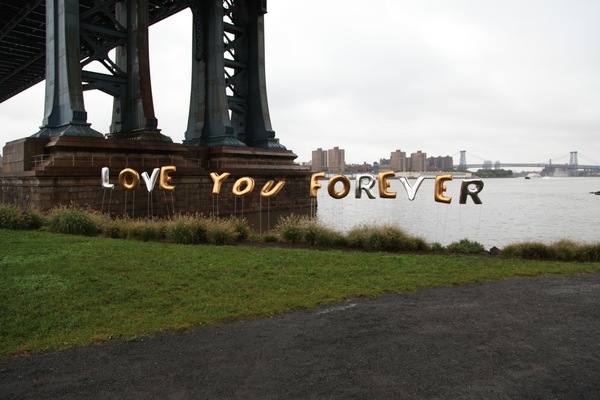 The installation is simple yet powerful. 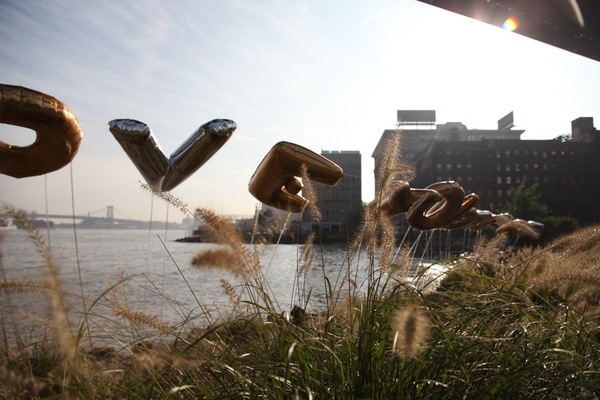 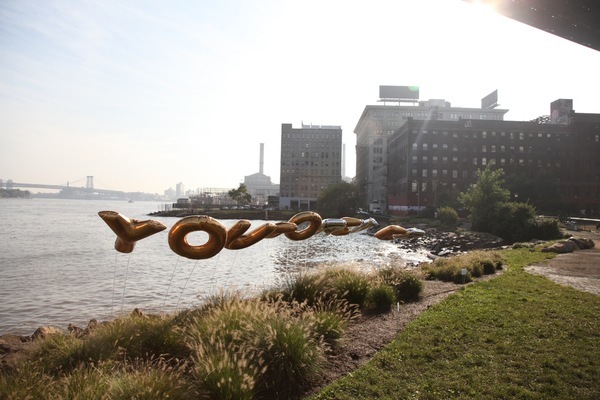 By using the reflective Mylar helium balloons on the water, they will appear to be weightless, floating just above the water on the East River and reflecting the message back on the water’s surface. 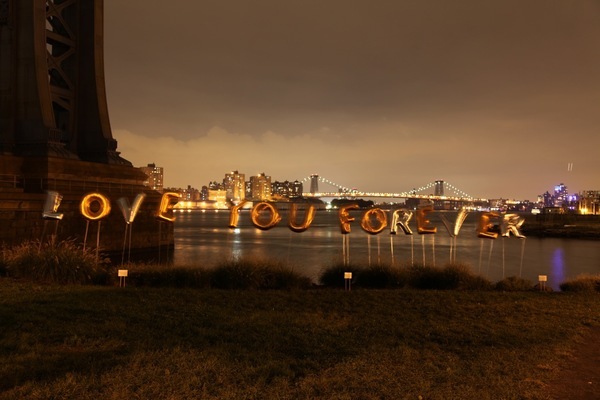 The message is both magical and momentous.